อ้างจาก: nirut ที่ วันเสาร์ 27 กรกฎาคม 2013 เวลา 21:57 น. อ้างจาก: sinthu ที่ วันอาทิตย์ 28 กรกฎาคม 2013 เวลา 00:01 น. อ้างจาก: kitaro ที่ วันอาทิตย์ 28 กรกฎาคม 2013 เวลา 00:10 น. อ้างจาก: kitaro ที่ วันเสาร์ 27 กรกฎาคม 2013 เวลา 15:39 น. อ้างจาก: klao ที่ วันอาทิตย์ 28 กรกฎาคม 2013 เวลา 08:41 น. Multiple Eargasm ! ! ! 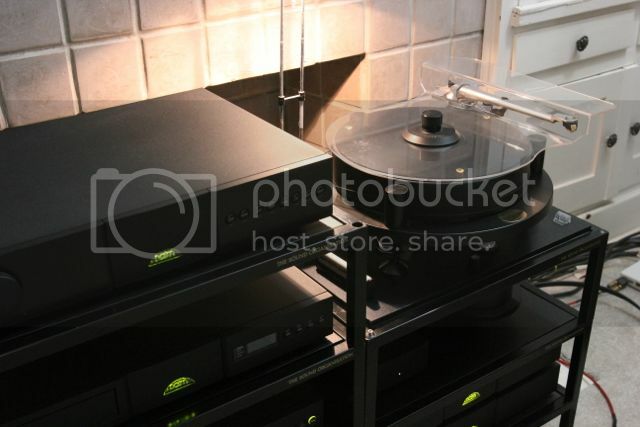 อ้างจาก: MorBoi ที่ วันอังคาร 30 กรกฎาคม 2013 เวลา 13:01 น.
I wasn't expecting to find anything as new and significant at a small mid-summer show as VPI's new Classic Companion Turntable, but there it was. The new Classic Companion combines the Walnut Classic 2 chassis, a 20 pound 2" thick aluminum Classic platter with inverted bearing, a 24 volt AC synchronous motor assembly with built-in 24V power supply and external step down transformer supply and a brand new 10.5" gimbaled bearing tone arm based on the one used on VPI's budget Traveler turntable. However, instead of the jeweled sapphire bearings found on that arm, the new arm features low-friction ABEC 5 pre-loaded ball bearings. It also incorporates VPI's Classic 2 premium tone arm mount with VTA on-the-fly adjustability as well as anti-skating. 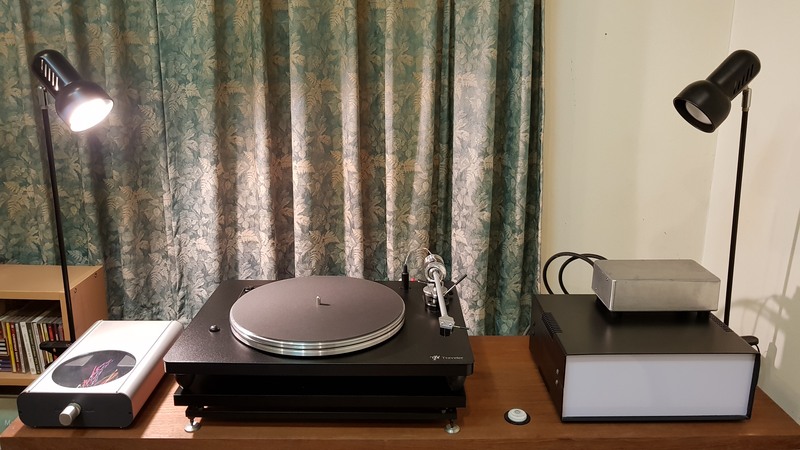 VPI sells the new 'table pre-mounted with a custom made for VPI Grado 1.5mV output ultra-low inductance, shielded moving iron cartridge featuring the Statement Sonata stylus and cantilever, mounted in a body featuring a threaded aluminum mounting plate. It's a $600 cartridge included with the arm/'table. Getting the scoop on that alone, made worthwhile the trip to Silver Spring! อ้างจาก: kitaro ที่ วันอาทิตย์ 28 กรกฎาคม 2013 เวลา 13:27 น. อ้างจาก: Witti ที่ วันพุธ 02 พฤษภาคม 2012 เวลา 11:23 น. อ้างจาก: Alfa156 ที่ วันพุธ 08 สิงหาคม 2018 เวลา 09:54 น. อ้างจาก: chatchawanb ที่ วันศุกร์ 10 สิงหาคม 2018 เวลา 00:08 น.